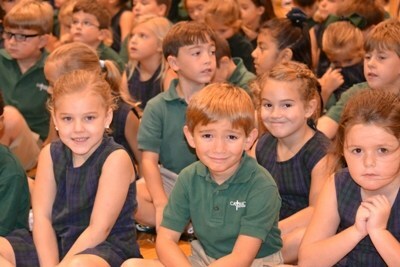 The Annual Fund campaign is a yearly initiative and the foundation of all fundraising at Catholic of Pointe Coupee School. Like most parochial schools, we rely on the philanthropic support (over and above tuition and fees) to maintain a high level of excellence and innovation in education. The Annual Fund provides unrestricted and much needed support for the School's areas of greatest need. A memorial gift is a “Living Legacy” in honor of your deceased loved one, and continues to help fulfill the mission of prayer, knowledge, and service for our students. Memorial gifts are tax-deductible. If you would like to send a memorial donation to our school, it may be mailed to the address below. Thank you for remembering our school with your Memorial Gift! Each year, tuition, fees, and fundraising dollars are used to furnish the services necessary to operate a successful school. Careful supervision of our school’s budget each year, allows us to be proud to operate at the level we have achieved. The reality remains, that a financial gap exists and we depend greatly on the financial and in-kind gifts to our school. Financial gifts in any amount can be used to help create opportunities for those in need, as well as make improvements to the school’s programs and facilities. Tax deductible gifts may be mailed.